This week they removed the only viable use for warriors in large scale pvp and nodewars, and put a 11 second cooldown on spear throw on the global lab server. This was a ranged skill to make up for their bad set of tools and instant death in sieges. They were already bad in large scale with no cd before. FYI, if you believe warriors are tanky, they are not. Warriors get oneshot by other classes with high ap. They are bound to fight in melee range, and they don't have enough protection or i-frames to survive, so they are the first to die on the battlefield after they get cced. Warriors were already one of the worst siege classes out of all available on PC for a year now. This week they fell to bottom tier. Since there are only 6 available classes at launch, I figured you would want to know before you waste your time. Ima put on my big boi pants and tuff it out. You can only be so irrelevant for so long can't you? When we do become 'OK' there will be none of us around. Also, easy to claim '' best warrior on server... '' when your the only one. Seriously, sad face. Still gonna role him even if the others on the playground don't wanna play with me. In not really paying attention to the pc world right now so ill just take your word for it that warriors are bottom tier. With that said we won't have siege or awakening at launch and since class balance changes all the time what makes you so sure warriors won't get a buff somewhere along the way? Personally I think its a bit silly to pick a class based on how that class performs on content we won't have for quite awhile. Yeah I was gonna point that out too. Anyone with higher AP is gonna have a chance to one-shot any class. With what we're getting at launch. Serious PvP is a ways off. Anything could happen in that time. Who knows, maybe in a year from now warriors are the meta lol. I enjoyed the warrior, I'll play as a warrior. If others have an easier time on their class. I'm happy for them. I'll still enjoy my time. For the most part skill>class choice. Well 1v1 wise. I totally expect a sword and board/2h not to be great in large scale battles. When have they ever been truly excellent. Yes 2h warriors have/do be excel in other games. But we're a hybrid here, and my expectations are set as such. They also got a huge buff a couple weeks ago. Even before that warriors were top fraggers in wars in some guilds. Sorry to tell you, but this game boils down to get gear and get good. No amount of reddit balance-whine memery will change that. 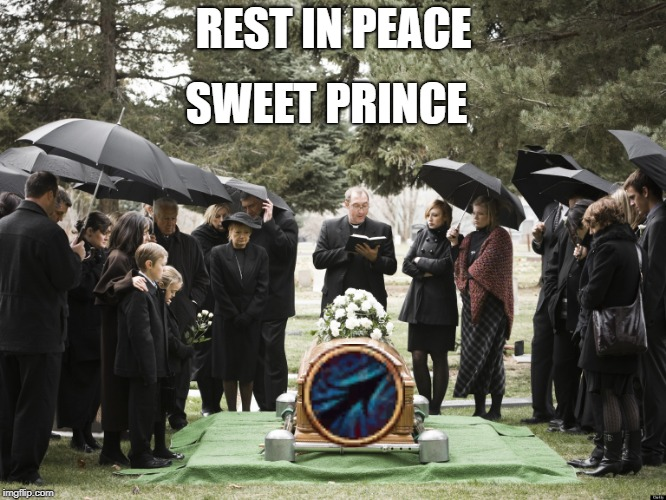 it was minor buffs and mostly just quality of life changes, nothing in comparison to what they just lost. by all means play it, but you will regret it when you see how much better other classes are, and how bad animation cancels will be on warrior while other classes just press 1 button. it will be even worse with a controller, because other classes can do more with 1-2 button presses and no animation cancels required. warrior needs to do 9-10 clicks in 0.5 sec and still do less. gl doing that on a controller instead of kb/mouse. I stopped reading at warriors only use is spears in sieges I suggest everyone else to do the same. I don't know. I like a little diversity. I'm going to fill all of my character slots with each class, max them out, farm them for energy. When they become useful to me, I'll use them. When I'm bored with one class, I'll switch to another. If a class never becomes good for my playstyle, I'll just continue to farm it for energy. Thanks for the heads up though, OP. I play on PC but use Zerk/Musa as my combat mains. other than that, I murder plants with my ho, and trees with my axe. It depends on what tipe of pvp do you wanna do and how tryhard you are. If you want to be in a top tier pvp guild doing massive sieges and battles you must have a witch or wizard. But if you are in a normal guild and you want a character that can protect by himself, do small scale pvp or 1v1 warrior is a very good option. I’m not a Min Max player,I’ll play classes that look fun to me and look good. Youll find the community here has a very "casual" mindset when compared to the PC servers. They tend to get hostile over theory crafting, testing, data, and game experience. Ive given up on trying to help them awhile ago, because they ignore your input, put their fingers in their ears, and scream over you. That being said though, people will do what they want to do.. let em. The more people ignore valid input the further ahead of them you will ultimately be in game. Classes are constantly changing, and telling people not to preorder to play warrior because of 1 change on a different version of the game is just ridiculous. Play whatever class you want. Put the effort into learning your class properly and progressing with your gear and you will do fine. Back in the day, Warrior was terrific. Somebody even put out a guide on how to use your skills to be faster than a Musa. This was big on Stamina and cooldown management. I'm sure with the Xbone version, somebody will figure out a way to make the warrior do awesome things and share it with everybody. I'm sure PA will do something to make all the classes viable too. It will really be a shame to see just wizards and witches running around. This isn't Hogwarts. No. Warrior has been really bad for over a year on pc, and they are just getting nerfed more for no reason. BDX got to have the worst warrior representation out of any mmo on the market, and the class is gutted at end game with tet and pen gear. In other games you can play warrior and expect to be viable, but in BDX you will be worse at everything. With a controller it will be even weaker. Did you know that on PC, warriors need to have atleast 120 FPS to perform animations like it's supposed to? If frames drops lower, the warrior in particular is gutted by it, animations become slower and damage decreases. Pearl abyss has still not fixed this after 2 years LOL. They have some sort of hate towards the warrior class. By the way, xbox runs at 30-60 fps tops.... go figure. Well thanks for the heads up but that will not stop me rolling for it for my own reasons to be so as there is no bad class in BDO just bad nagging and lazzy players that don't want to find a way to make the changes work for them...for a problem there is always a solution. Ninja use to be hot garbage, now it's op. DK use to be oppressively good, now it's whatever after nerfs. Musa use to be super underpowered. Striker was underwhelming on its release, now its extremely well rounded. Need I go on? There will always be a fotm class, par for the course in games like this. It sells microtransactions having people chase the meta. Play whatever you want. Odds are, if you play long enough your class will be op and pure garbage at some point. Did u know that on PC, warriors need to have atleast 120 FPS to perform animations like it's supposed to? If frames drops lower, the warrior in particular is gutted by it, animations become slower and damage decreases. Pearl abyss has still not fixed this after 2 years LOL. They have some sort of hate towards the warrior class.